Use of the Adriatic LNG regasification terminal is continually increasing. 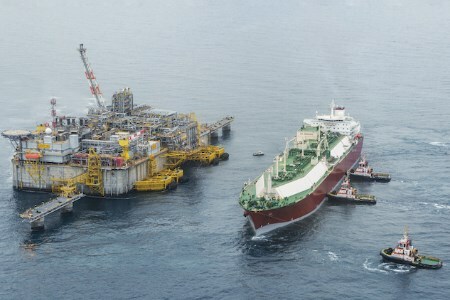 Located off the Veneto, Italy, coastline (Northern Adriatic Sea), the terminal plays a strategic role in supplying gas and diversifying gas resources by importing LNG, mainly from Qatar. As of the end of July, the Adriatic LNG terminal regasified 3.9 billion m3 of LNG, 12% more than the 3.4 billion m3 delivered in the same period of 2016. In particular, in the 2Q17, the terminal reached 1.7 billion m3 of gas, showing a 15% increase compared to the 1.5 billion m3 for the same period of 2016. Also in July, the Adriatic LNG terminal redelivered 651 million m3 of gas into the national grid, the highest volume since May 2011, with an increase of 27% compared to the 513 million in July 2016. It is the second time in the history of Adriatic LNG that the terminal has exceeded the 650 million m3 send-out target (in May 2011 the terminal delivered 656 million m3). The terminal’s utilisation rate in July reached 95%, bringing the year-to-date value up to 83%, a significantly higher rate compared to the average of other European terminals. National gas demand was driven mainly by the industrial sector, which approached pre-crisis values and contributed to the increase in July consumption by 9.2%, compared to the same period in 2016 (Source: Snam Rete Gas). Since start-up in 2009, over 541 LNG carriers have arrived at the Adriatic LNG terminal, and over 45 billion m3 of gas has been redelivered into the national grid. Thanks to a new mixing service, currently offered on experimental basis, the terminal has recently received its first LNG cargo from Nigeria.